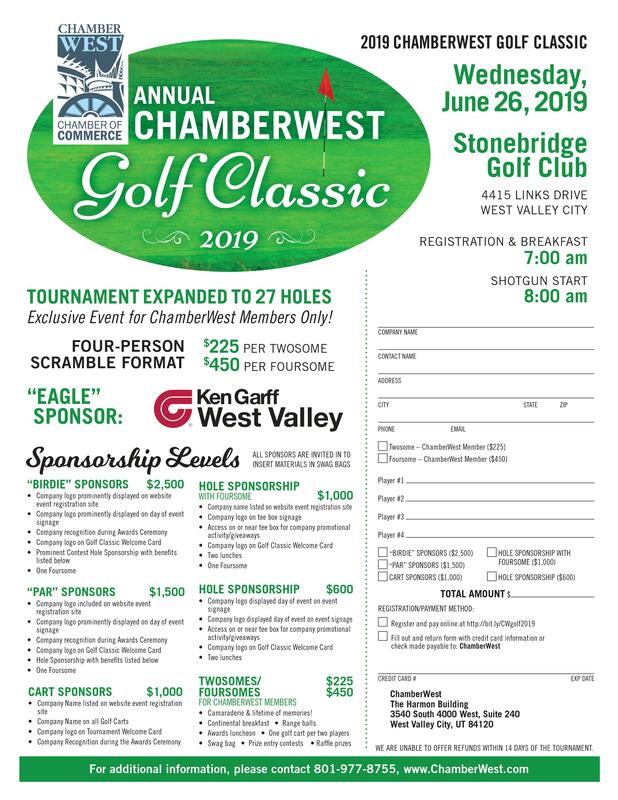 Proudly representing the business communities of West Valley City, City of Taylorsville, West Jordan City, and Kearns areas. We create opportunities to CONVENE as business, civic, and political leaders. We are a CATALYST for positive change and a CHAMPION for local business. 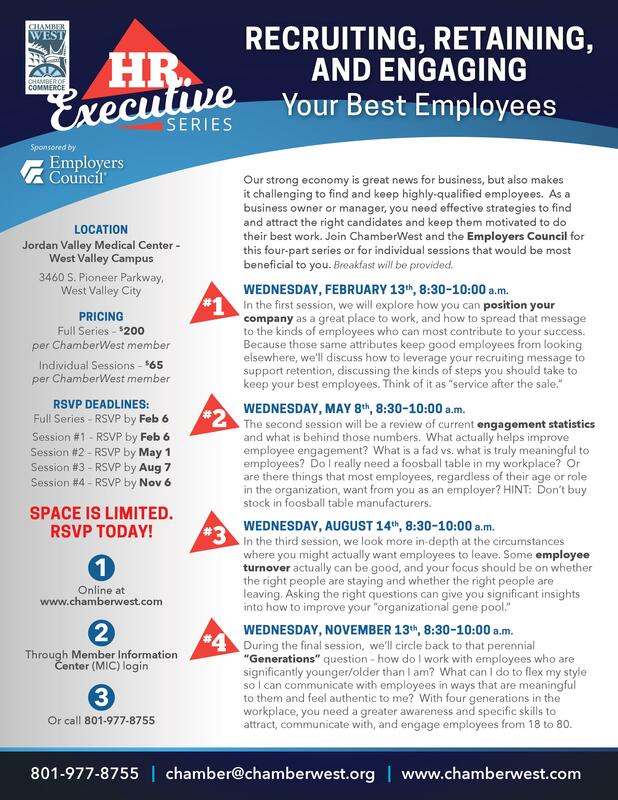 Joining ChamberWest will increase your exposure and provide access to educational networking opportunities for you and staff. It demonstrates to your customers and employees the value you place in supporting and growing a positive business environment in making the community a better place to work, live, and play. As a wholesaler to most cities in southwest Salt Lake Valley, chances are you drink our water! We work hard to deliver quality water and services every day. Watch the latest episode from West Side Now! 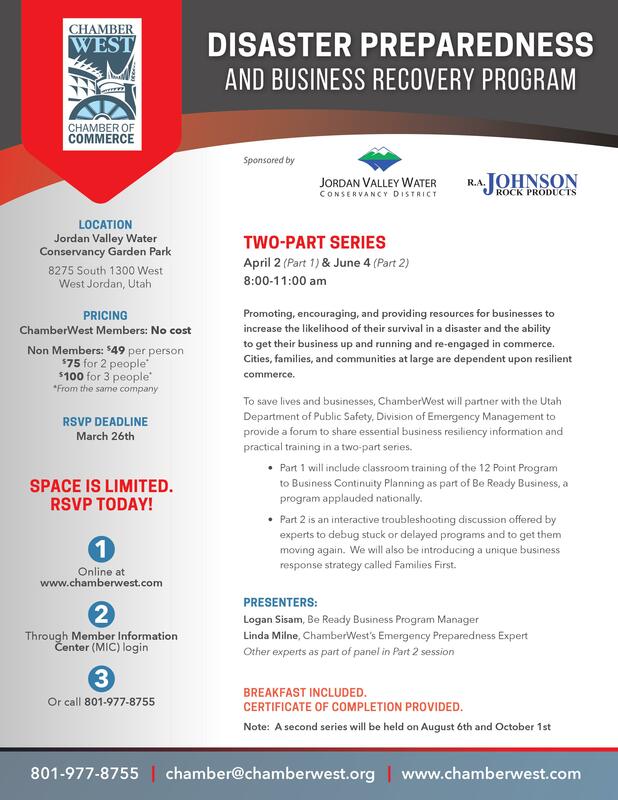 Take advantage of a sit-down hosted interview focused on your business in our ChamberWest studio. The intent is to give business owners / representatives an opportunity to personalize their business by talking about the business, what makes the business unique, what products and/or services the business provides, how the company and/or employees interact in the community, and more. If you are interested in getting your own video produced, contact ChamberWest at 801-977-8755 or send a text to 801-635-9032.